If for some reason you’re not alright with that please let me know and I’ll have it taken down asap. You have been given proper credit in the description with a link back to this page. Thank you for providing such a great vector! If you have time and would like to check out the video I'd be delighted to hear what you think of it! Thank you again! Just me or she very attractive in that cloth ? Used and credited in music video fav.me/d6qnwny Thanks! aesome zecora picture. zecora is best pony! love zecora. for my 18th i had a zecora cake done. Nice! I'd like to see it. sure, when i find th pic, i'll show you. I was just thinking that the other day! Great Job! Great! 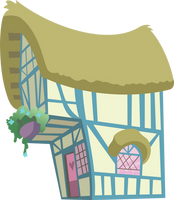 But one question, how do Earth Ponies put on clothes without magic? Hey can I use this vector for a picture I'm making with photoshop? I've seriously got to get her to be the tour master for my next haunted house. Yeap, shiny as she looks. I like her in that style rather than her normal version. She reminds me of Storm from the X-Men. and I think she looks WAY better with her hair down like this. wow awesome vector!!!!! really nice!!!! Is it possible to alter this into the daytime coloration? I believe it is I'll look for it tomorrow.